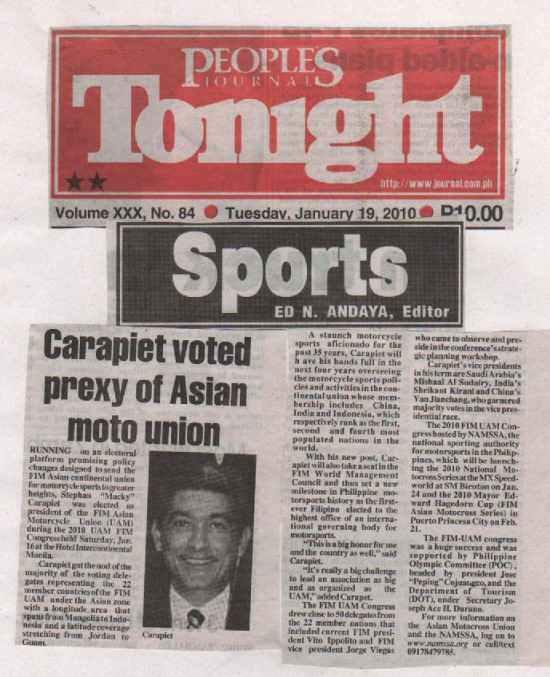 Carapiet got the nod of the majority of the voting delegates representing the 22 member countries of the FIM UAM under the Asian zone with a longitude area that spans from Mongolia to Indonesia and a latitude coverage stretching from Jordan to Guam . 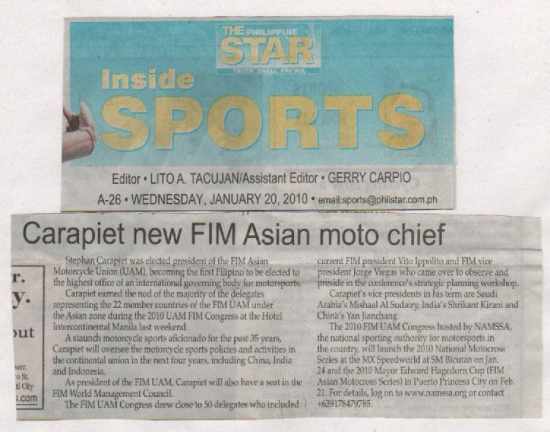 A staunch motorcycle sports aficionado for the past 35 years, Carapiet will have his hands full in the next four years overseeing the motorcycle sports policies and activities in the continental union whose membership includes China, India and Indonesia who respectively rank as the first, second and fourth most populated nations in the world. 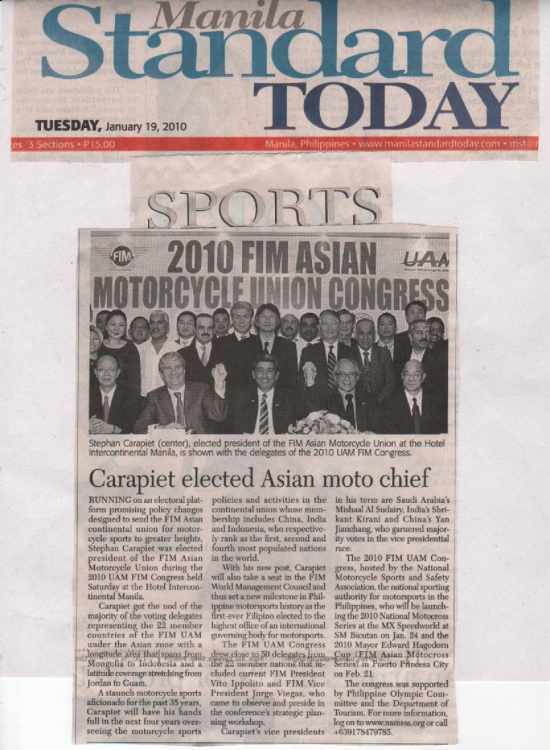 The FIM UAM Congress drew over 50 delegates from the 22 member nations that included current FIM President Vito Ippolito and FIM Vice President Jorge Viegas who came to observe and preside in the conference’s strategic planning workshop.